I'm assuming everyone's busy during the week. so i try to share simple dishes on weekdays. 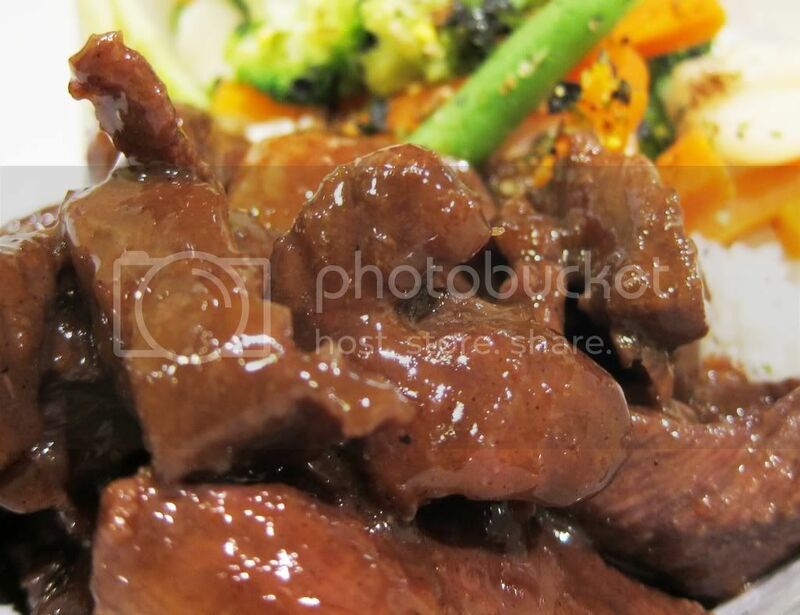 this Korean bbq beef dish is really easy. basically you just need to get a jar of bbq beef marinade, some meat. and cook them. 通常weekday個個要返工, 都唔得閒煮太繁複的送架喇. 所以, 今次就整一個超容易的, 基本上, 就係買一支醃醬, 直接放肉去煮就可以了, 可以話不能夠再簡單! Marinade the beef for half an hour, amount of marinade: as long as it's enough to cover all the meat surface. Cook the beef and the marinade directly in the frypan without marinating. Serve with rice and some vegies, done . 配以飯, 蔬菜, 及紫菜碎, 即成 . 2. You can even cook some more and make a bento for lunch. you can always freeze it in a freezer for more than half a year. just re-heat it in microwave when you want it. remember to put it in microwaveable containers! 2. 由於材料簡單, 便宜, 煮法又容易, 大家不妨煮多少少, 造個可愛便當帶返公司. 或者放在冰箱, 想食的時候放微波爐翻熱就可以, 冰箱的便當可以最少放半年也無問題的, 但記得用可微波的餐盒! 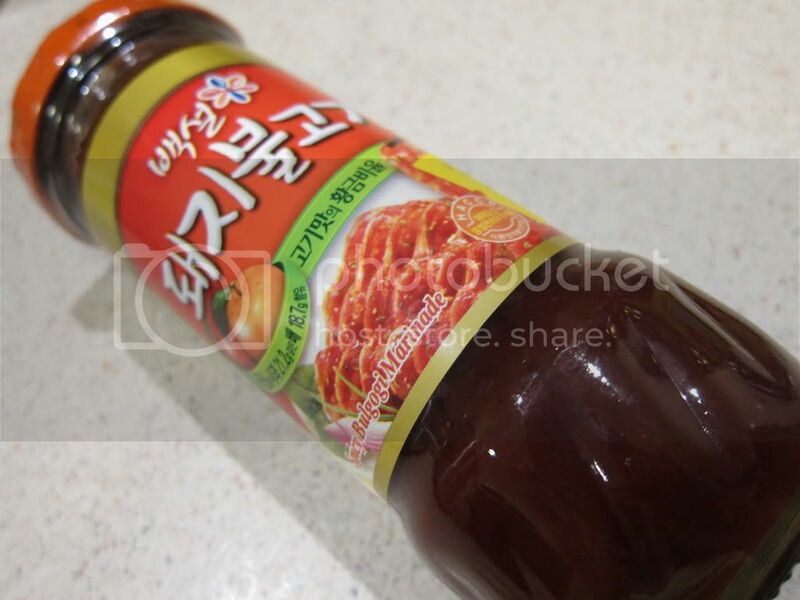 The secret of this dish is the marinade, which is the bottle stuff shown in the above picture. you can get them in the asian grocery stores or maybe even better ones in korean stores. 呢個菜式的秘訣, 就是呢枝韓式燒烤醬, 唐人雜貨舖有售, 還有不同風味/辣味的, 住在亞洲國家的朋友, 可能一般超市經已買到, 佢地本身已經係一個唐人舖頭喇. 如果有專門售韓國雜貨的舖頭可能會更好. 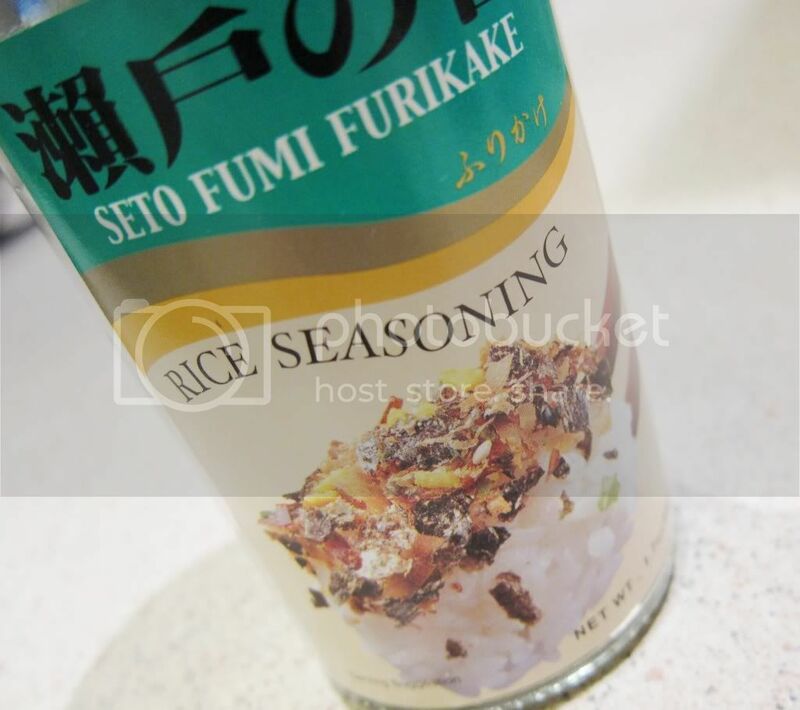 "Furikake" is a rice seasoning commonly used by japanese. of course it's optional in a korean dish. but if you want it, you can probably get them in asian grocery stores too. if you have japanese department stores/supermarket, you might even find some really good ones. they're basically marinated seaweed, sesame and maybe some meat floss. there're different flavors usually. this one is soy sauce flavor. other common flavors are like salmon, wasabi, marinated crab eggs and so. 現成已經味紫菜碎, 醬油味, 即係造飯團/便當用的那些, 還有三文魚味, 芥辣味, 明太子味等等, 裡面有已調味的紫菜之餘, 還有芝麻, 有些有肉鬆等, 好味的. 唐人雜貨或日本百貨公司有售. Next time, we'll have a pretty masterchef as our guest writer. don't miss it !